Whether waking up first thing in the morning or just having a drink to help get through the day, enjoy top quality coffee made easy, with the De'Longhi EC860 Coffee Machine. 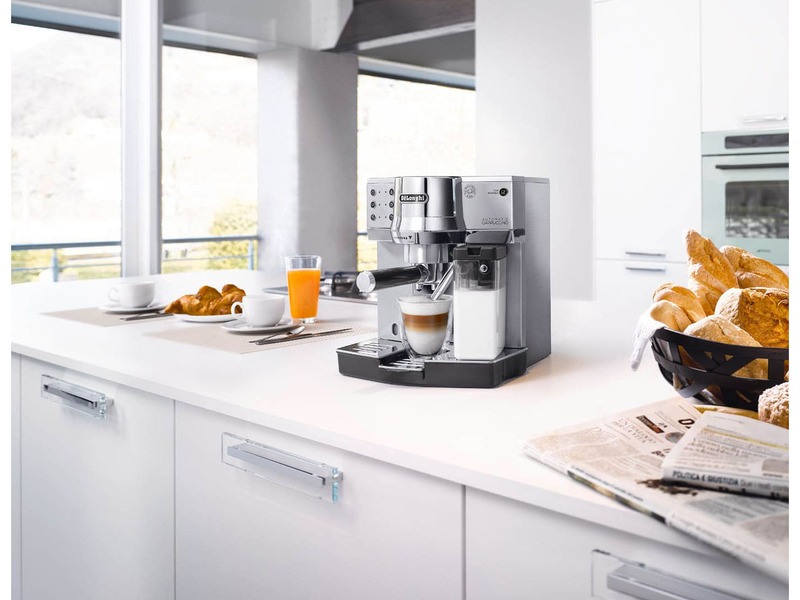 Traditional espresso craftsmanship meets innovative one touch cappuccino with the De'Longhi Dedica Cappuccino. 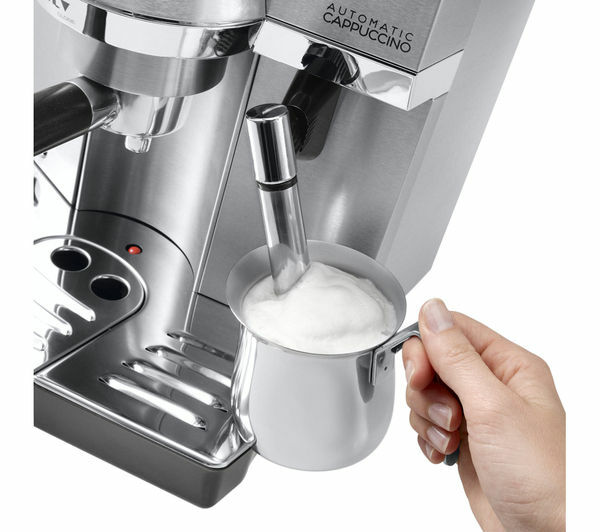 Enjoy authentic Italian barista quality espresso drinks; single, double espresso, cappuccinos or lattes. A self priming system means the EC860.M is always ready to use and with an auto stand-by function and a better than Energy Class A eco mode, you can make sure you're saving money on your electricity bills, as well as respecting the environment.